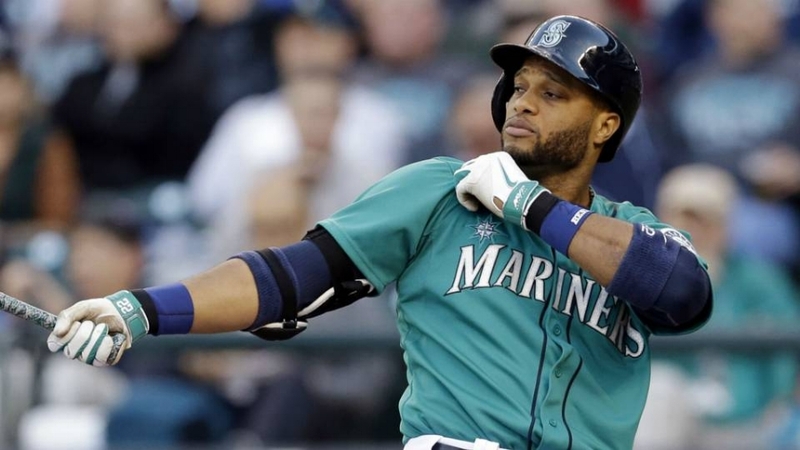 Robinson Cano has become one of the most under-appreciated players in baseball today. The 35-year-old owns an incredible career batting line of .304/.354/.494. Two years ago he hit 39 home runs. Last year he played through a quad injury, but still managed to hit the 300th homer of his career. At this point I think the HOF conversation is worth having. The more I looked into it the more I realized not only is the conversation worth having, but it's a pretty short one. Cano is a future HOFer. He's already at 65.7 career bWAR. For perspective Craig Biggio, who went into Cooperstown on his third try on the ballot in 2015, finished with 65.1 bWAR. Cano is also going to reach 3,000 hits (currently at 2,376). For the cherries on top he has six top-10 MVP finishes and is generally considered the best 2B of his generation. I compare him to Adrian Beltre in the sense that neither play was ever consistently a top 5 player in the league, but both were really, really good for a really long time. Both guys also played some of their prime years in Seattle, where players don't get discussed as often and the ballpark is built for pitchers. It's interesting to think what the perception of Cano would be like if he hadn't left New York. Following 2013 the Yankees realized they had to start spending less, so they "only" offered Cano a seven year, $175 million deal. Seattle swooped in and gave him 10 years and $240 million, at the time the fourth largest deal in major league history. The only question that remains is not "will Cano be a HOFer?" but whether he'll go in wearing a Yankees hat or a Mariner cap. Not a lot. Seattle went 78-84, which was good for fourth in the AL West and 23 games behind the Astros. Making matters worse was the continued decline of Felix "King Felix" Hernandez. From 2014 to 2017 his ERA rose from 2.14 (league leading) to 3.53 to 3.82 to 4.36 in his injury shortened '17 season. The advanced stats don't show many reasons to be optimistic and his fastball barely hits 90 now. This is also an arm that has already accumulated 2,500 big league innings on it. Still, Felix is just 31 years old (about to turn 32 in April) and it sometimes takes former hard throwing aces a year or two to "figure it out" before re-inventing themselves. CC Sabathia and Justin Verlander come to mind here. Crazier things have happened, but that's what it's going to take for Hernandez to be effective again. He's going to need to re-invent himself because his days as an elite starter are over. Mariners GM Jerry Dipoto started his own podcast! I'm trolling a bit here, but it's actually really cool he's doing this. I listened to the first few episodes (which centered around the pursuit oh Shohei Ohtani) and it's great listening to a sports GM be candid and upfront about the moves he's making. On a more (slightly more) serious note Seattle brought back Ichiro lets goooooo. Why should fans be excited? Even though the Mariners now have the longest playoff drought in professional sports (yikes) there's still enough talent on this roster to make you think "it could happen". And by "it could happen" I mean the team could back themselves into the AL's second wild card spot. Cano was still effective last year despite playing hurt. He should bounce back. Nelson Cruz has somehow hit 39 or more homers in four straight years. In 2017 he led the AL in RBIs and posted a .924 OPS. Kyle Seager is one of the more underrated players in the league. James Paxton was one of the best stories in baseball until he got hurt. Edwin Diaz is a lights out closer. So all the pieces are there. Now the team just needs to put it all together.